John and I are definitely what you would call DIY’ers (Do-It-Yourself). Well, I should say that John is more of a DIY’er. I just supervise! He’s a carpenter in the Canadian military so anytime there’s a project to do around the house, he is the one to do it. Its nice to not have to hire anyone to come in to do it for us since that can become very expensive. Summer is the perfect time of year to get on those projects around the house that you have been putting on hold for nicer weather. John demolished our kitchen back in September and I was without even a kitchen sink up until last week. It was not fun. However, I am so happy to say that work has begun on my dream kitchen and I am so excited! Last week John did the countertop with black tile and a few days ago we got a double basin sink. Yay! Plus, we also have drywall up (just not mudded) and a brand new window over the kitchen sink. Its going to be beautiful when its completed. Safety is a concern when doing any kind of home renovation or project and you must keep a constant vigilance to what is going on around you. 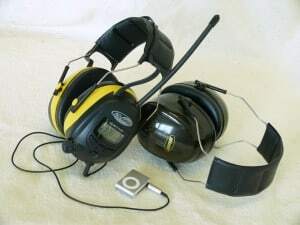 Wearing safety gear is an absolute MUST because even the smallest of projects can quickly become dangerous when a piece of wood flies into your eye or the noise of a loud saw damages your hearing. John being a carpenter has taken all the Safety courses with the military, so he does take precautions when doing work in our home. Before you start a project, prepare- know what you are going to need in terms of tools and make sure you have the appropriate safety gear on hand to complement the project. Remember to set an example- your kids are little sponges- show them that you care for them by caring for yourself and make it a standard to be safe. Remember that you aren’t just a handyman doing some work around the house- you are also a sibling, friend, spouse, parent or supervisor and they are counting on your safety. Learn about the materials you are going to use for your project, and the best way to work with them. Make sure you concentrate and stay focused when working with tools or machinery- even a moment’s distraction could lead to harm. Don’t get in “over your head”- if the project is too large or too complicated for your skill level, either take a course to upgrade your skills, or trust the experts. I received a bunch of goodies from 3M to help us with our kitchen reno this summer. They have all come in quite “handy” already! 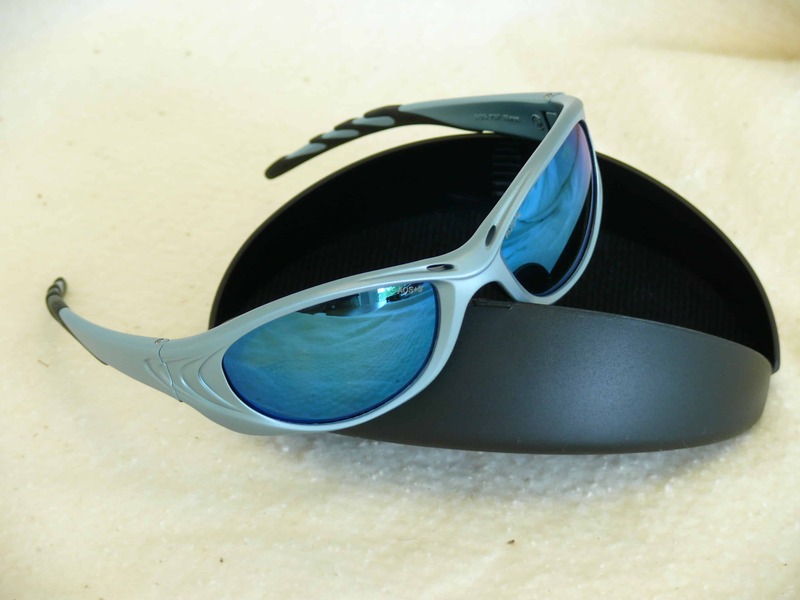 The Rivet High-Impact Safety Glasses are a very cool looking pair of shades with some important benefits. They protect your eyes from the harmful UV rays of the sun and any kind of flying debris when you are working outside. They hug your head to ensure that no dangerous particles slip past and get in your eye. They come in hard shell protective case to store them safely when you are not using them. I really like the style of these glasses and how they look nothing like safety glasses. I agree that its no fun being outside without sunglasses and squinting and having the sun in your eyes is painful. I wear prescription glasses since I am blind as a bat and actually do have a pair of prescription sunglasses. If I had contacts, then I would definitely wear these glasses! John also wears glasses, but is getting contacts so these sunglasses will be perfect for him to wear outside when he is mowing the lawn or even just driving! I also received a pair of AO Safety General Purpose Safety Glasses with an anti-fog and anti-scratch coating. I like these because they fit over top John’s regular pair of glasses. He needs to be able to see when using his saws, but needs his eyes protected. He wears the saftey glasses when he is cutting wood on his circular saw. Wood chips fly everywhere so this is a must-wear item! Â They aren’t as fashionable as the sunglasses, but as long as they do the job right, who cares? They retail for $29.99. With all the construction and the variety of saws and tools littering my kitchen, things can get pretty noisy. The Professional Earmuffs from AO Safety have been awesome! I always cringe when he starts up the saw because of the how loud it is. The cats usually head for the hills too. John had his own pair of earmuffs, but these new ones we received from 3M are WAY BETTER according to him. They are very comfortable. They work awesome at muffling the sound…sometimes too well I think since John ignores me when he is wearing them! The Canadian Hard of Hearing Association says that 1 in 10 people in Canada have some degree of hearing loss and for people over 50, the number increases to 1 in 5. It just makes sense to wear earmuffs and save your hearing. They cost $31.99. Last but not least I received the Sanding and Fiberglass Respirator with COOL FLOW Valve from 3M. It’s meant to be used for sanding, grinding, sawing and insulating projects. John has used this when cutting cutting wood so he isn’t breathing in sawdust. However, he can also use it when he is painting or sanding the drywall which gets so messy and gross! He said that it is comfortable to wear and it keeps out all the nasty particles. It also allows him to breathe easily and doesn’t make him feel hot and stuffy. Whatever your DIY plans are this summer please remember to be safe! Protect yourself and your family. Hoping to lay new laminate throughout the house….big project where both the safety glasses and the ear muffs would be quite an asset! I also follow you on GFC. I have joined the Simply Stacie Blog Frog community, too.